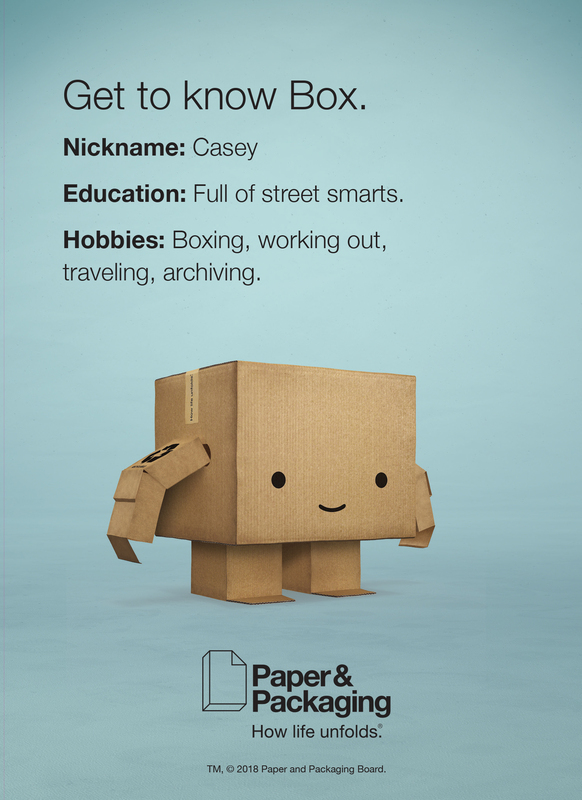 The Paper & Packaging — How Life Unfolds® campaign recently revealed its new brand ambassadors: Page and Casey. 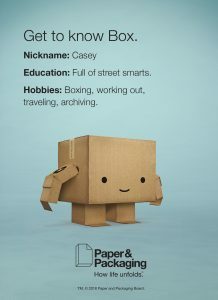 They might not wear capes, but they are the heroes of our industry, created to promote paper and packaging and to help strengthen the consumer connection established by the campaign over the past three years. 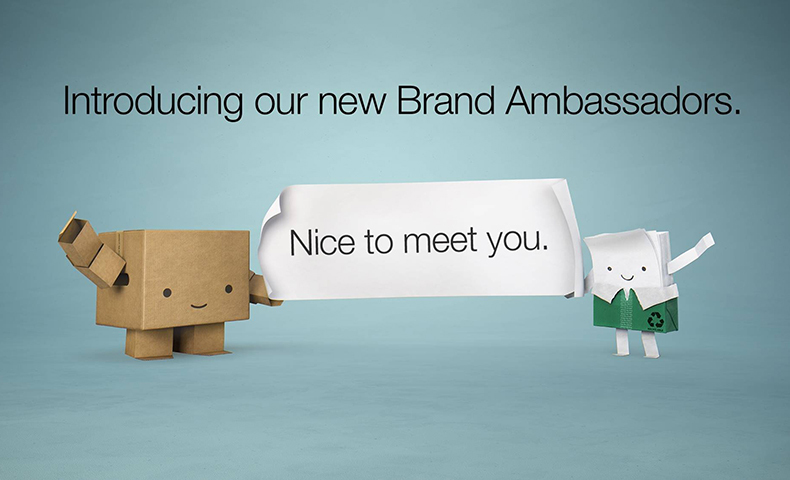 The Paper and Packaging Board invited employees in the industry to vote for their favorite names for its new brand ambassadors. With 7,000 votes and 2,000 write-i ns, Page and Casey were the clear winners. 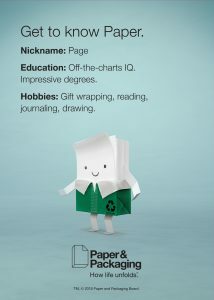 Page, the paper character, shows how paper helps us learn, be productive and achieve more in our daily lives. Casey, the packaging character, demonstrates how packaging delivers goods safely to our doorsteps, stores and businesses. 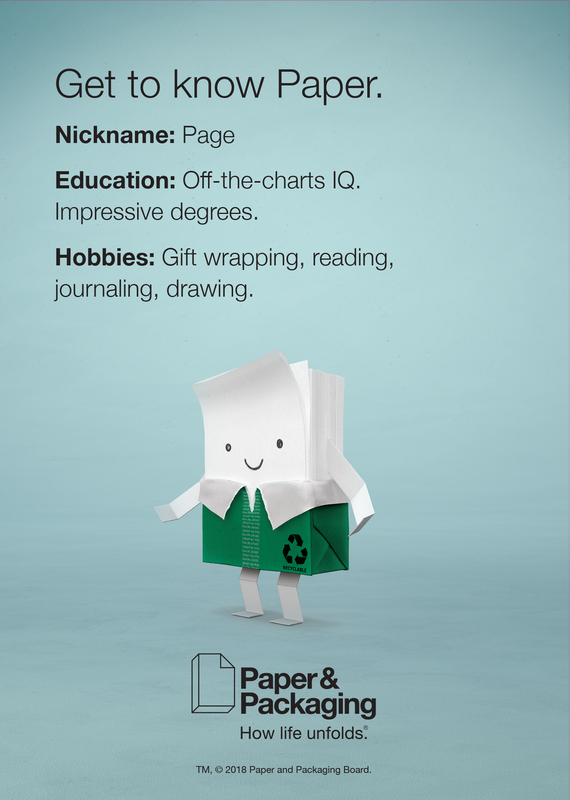 The How Life Unfolds campaign is designed to increase consumer appreciation for paper and packaging and encourage consumer behavior. The new characters were created by Milwaukee–based agency Cramer-Krasselt to help emphasize the unsung heroes of everyday life with engaging, instantly recognizable brand ambassadors. Consumers will meet the new brand ambassadors on cable TV; in magazines such Forbes, Delta Sky, ESPN, HGTV Magazine and Parents Magazine; and on the cover of US Weekly in a special double-cover issue. In addition, commercials will run on streaming services like Hulu and on other digital and social media channels. Learn more about the 2018 campaign, and watch this commercial to meet the campaign’s new brand ambassadors. You can also see Page in action in this video.